KMC Wheels is the title sponsor for the 2nd annual Battle in Bluegrass taking place August 11th and 12th at Dirty Turtle Off Road Park in Bedford, KY. This is the final race in the Spidertrax Eastern Regional Series. Expect to see no holds barred racing from all classes as the Spidertrax Eastern Regional Championships are on the line! It is also the last chance for 4400 drivers to qualify for the 2018 King of The Hammers East of the Rockies. If you’ve always wanted to see ULTRA4 Racing up close and personal, this is your chance. The Dirty Turtle Off Road Park provides some great views from the short course and there will also be an ULTRA4 vs. Bouncer Shootout on Saturday night. NEW for 2017: The Southern Rock Racing Series (SRRS) Rock Bouncers will be joining ULTRA4 for a shootout after racing on Saturday night. This year’s ULTRA4 race will include a 2-stage qualifying, similar to that used in Motocross. Drivers will qualify on both the short course and on a hill climb on Friday. 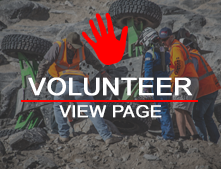 Rock Bouncers will be joining the ULTRA4s for the hill climb qualifying on Friday to determine who will get a chance to compete on Saturday night. Purse for the shootout will be $10K total. $7500 for the fastest climb and $2500 to the fastest car from the opposite series. All Entry fees must be received by August 4th, any entries after this date will be subject to a $100 late fee. 2PM Driver’s Meeting before qualifying in hot pits – all qualifying drivers must attend! 8:30AM ULTRA4 Driver Meeting in hot pits – all drivers must attend!